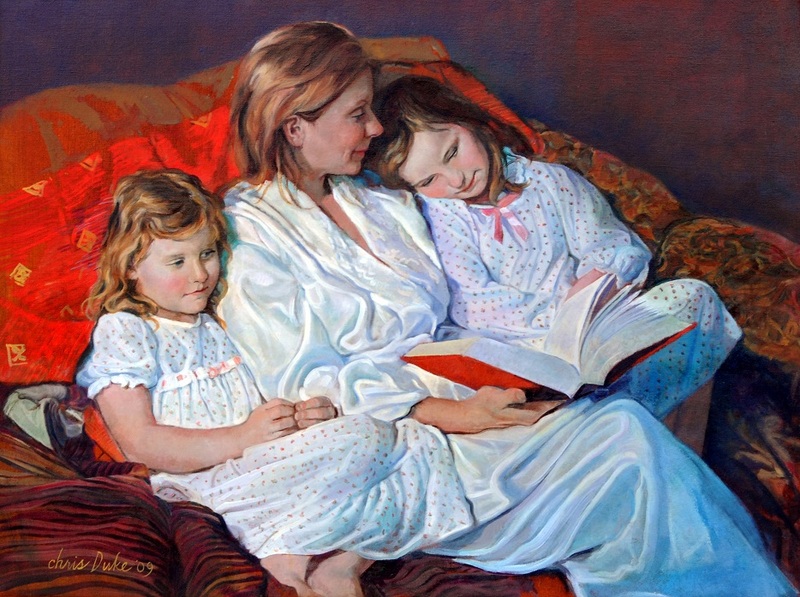 It was wonderful that Katie agreed to be painted with her beautiful daughters in nightwear for their portrait. Bedtime is special. I sheepishly admit that I purchased the girls these nightgowns, seeking a timeless mood. Sponge Bob Square Pants may be fine for portraiture – I’m not close-minded – but I had something else in mind. From time to time I cross paths with this family and though Kayla and Scarlett hardly know me, they always run to give me great big hugs. They love this painting! It feels great.